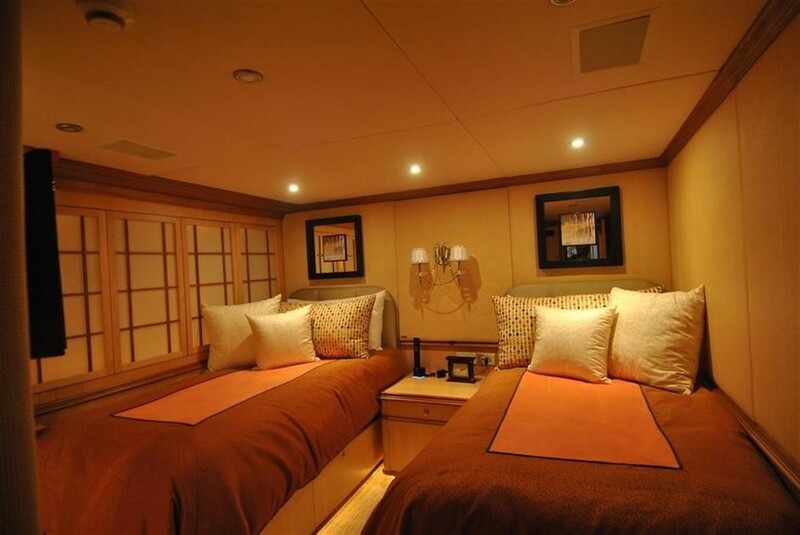 Her two salons offer ample space for relaxation and quiet contemplation. 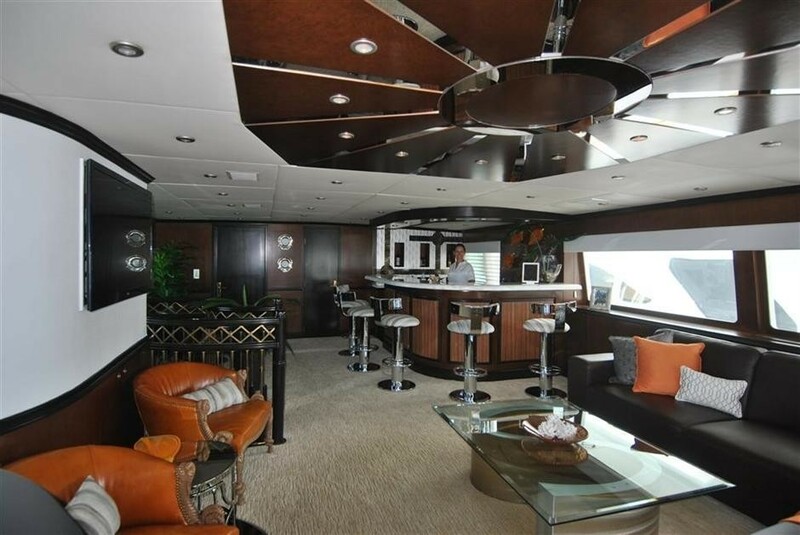 The main salon includes an open formal dining area and lounge area with an entertainment system including Plasma screen TV and DVD player. 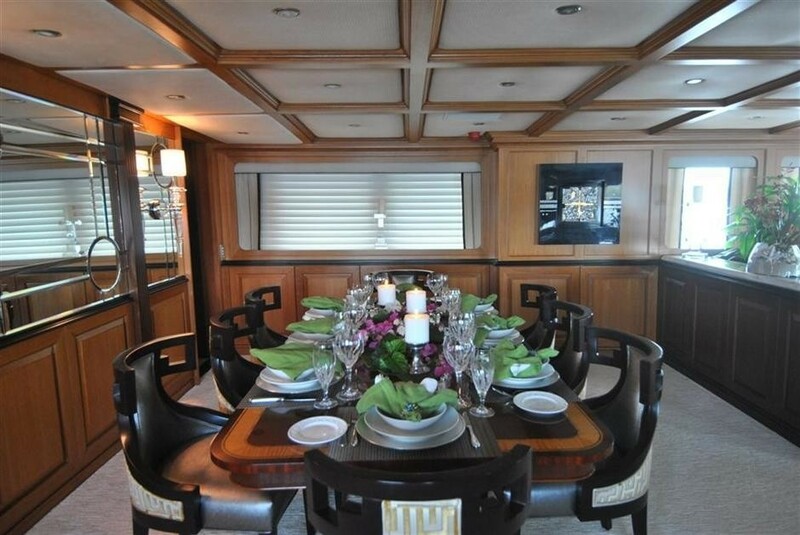 The upper salon is ideal for entertaining with lounge seating, a bar and a grand piano. 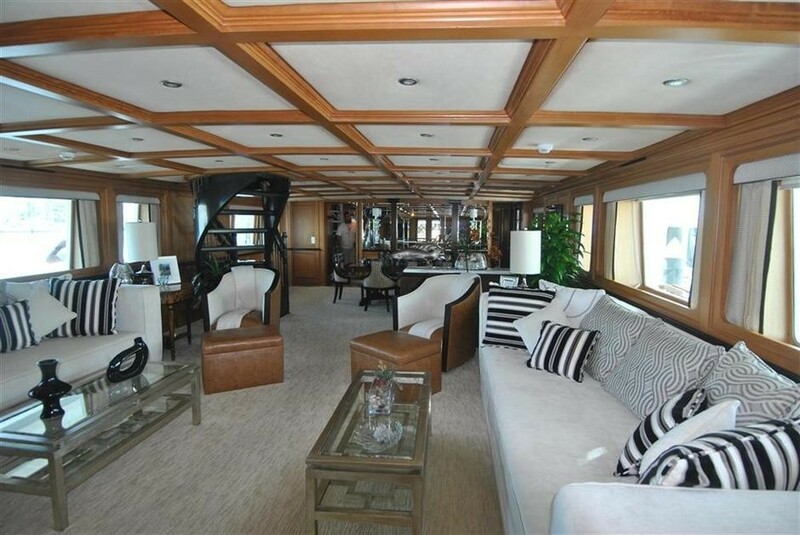 This room is filled with natural light through the wide open windows which offer panoramic views of the incredible scenes. 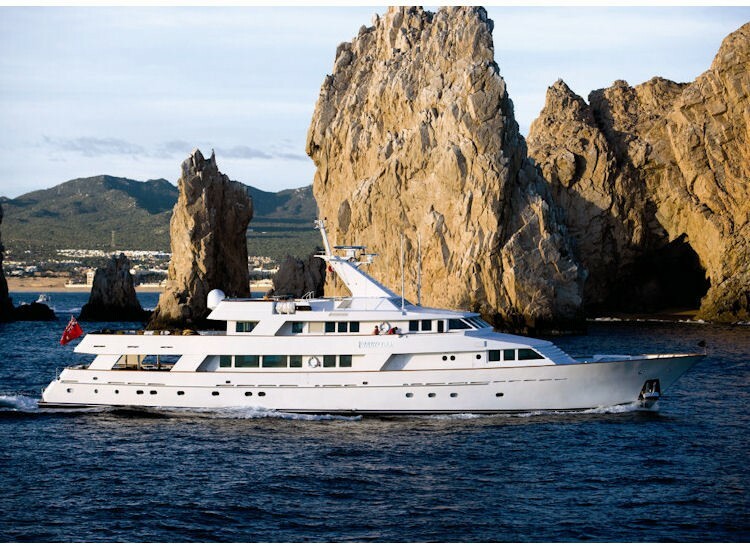 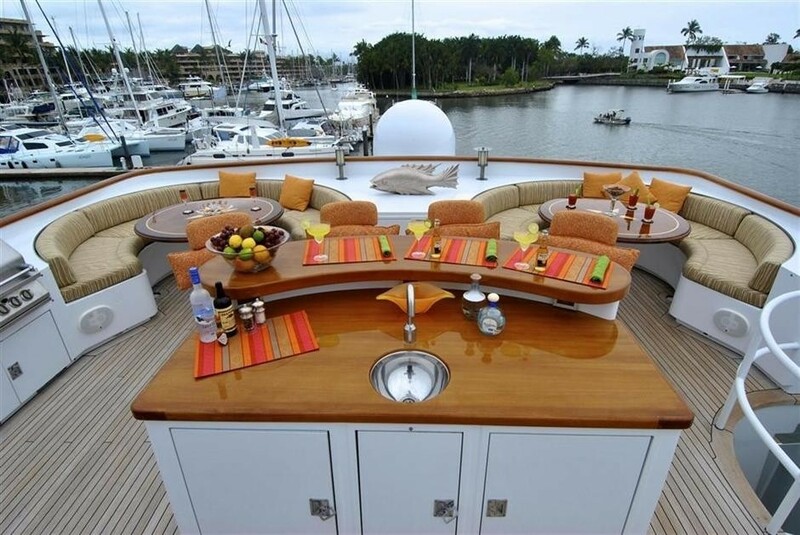 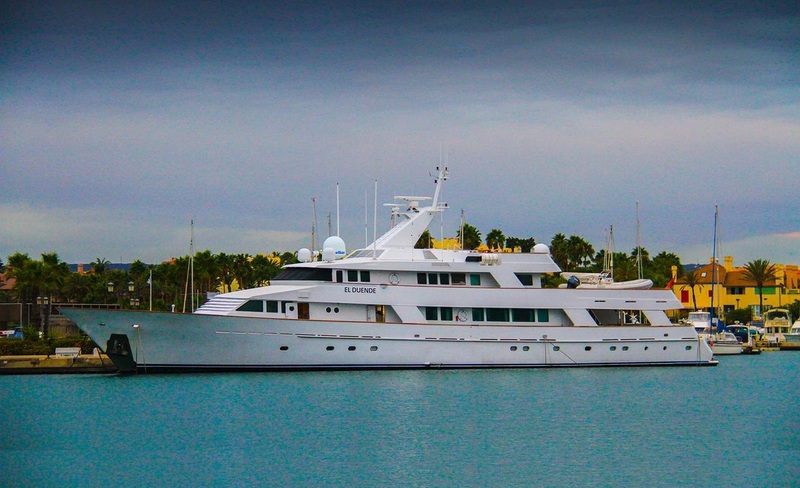 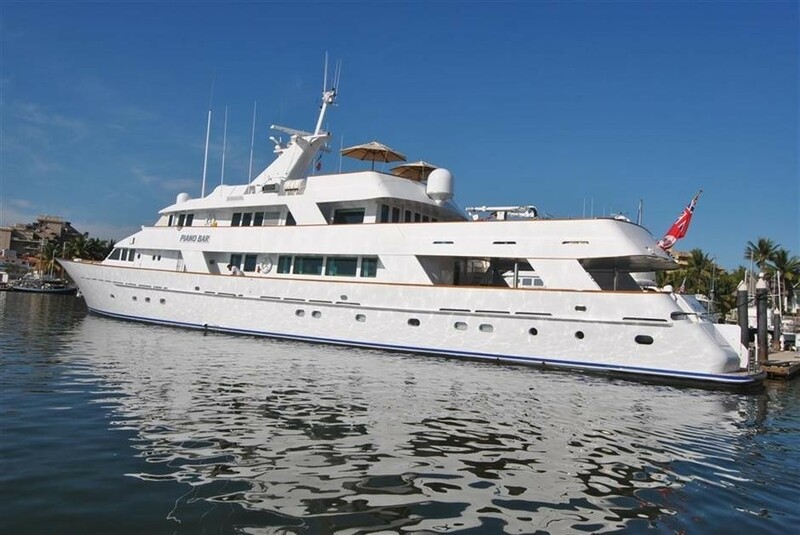 She is classic in design with a very stable steel displacement hull. 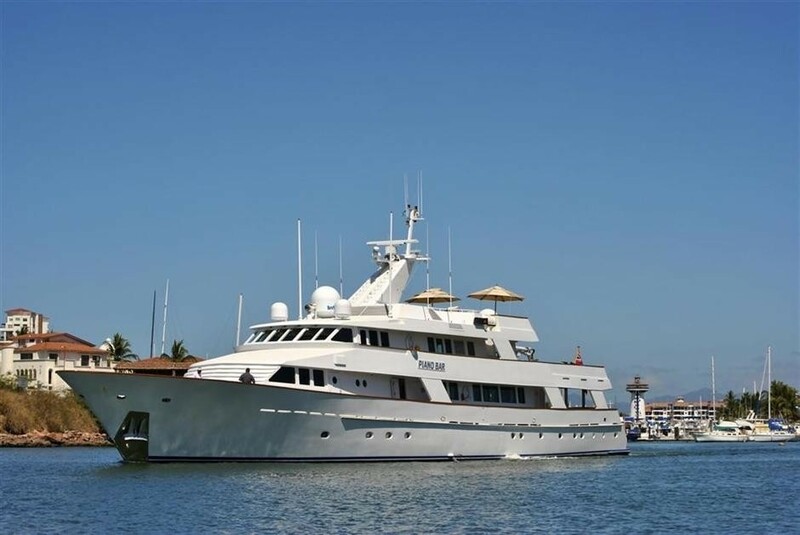 Her sturdy build is complimented beautiful with a comfortable and elegant interior. 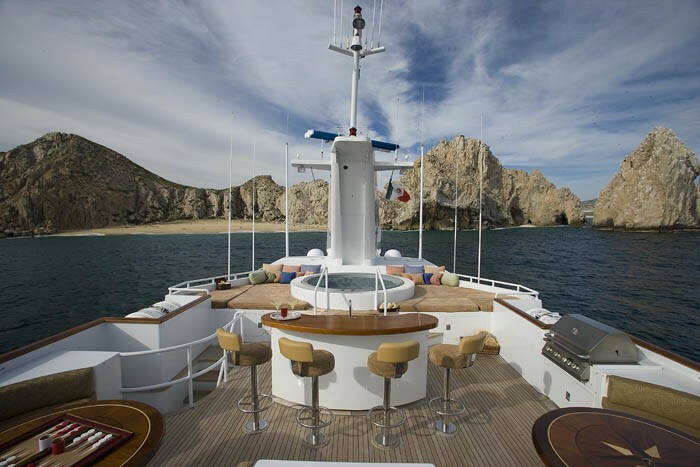 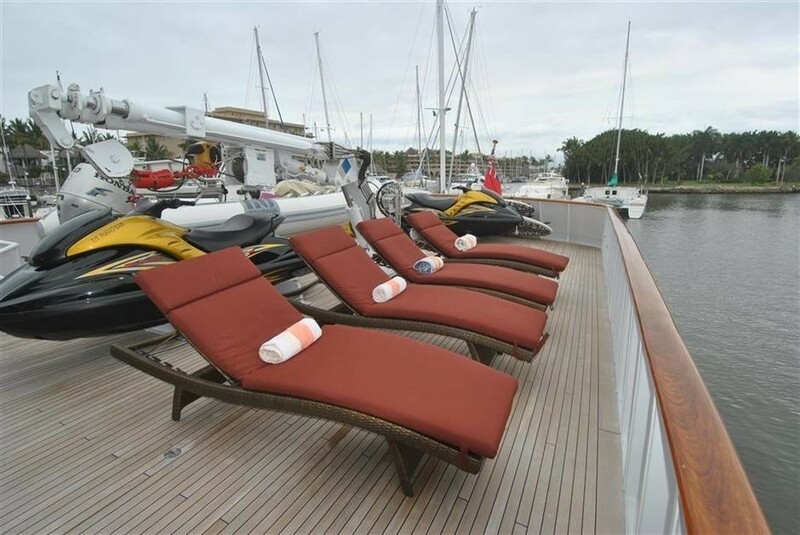 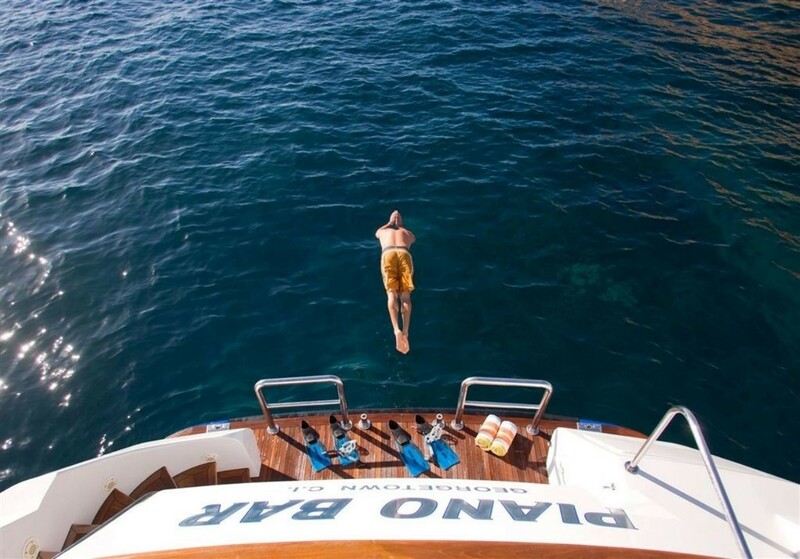 The space and comfortable flow continues outdoors on LADY HAYAT with alfresco dining on the main aft deck and lounge, bar and sunpad seating plus a Spa Pool on the sundeck. 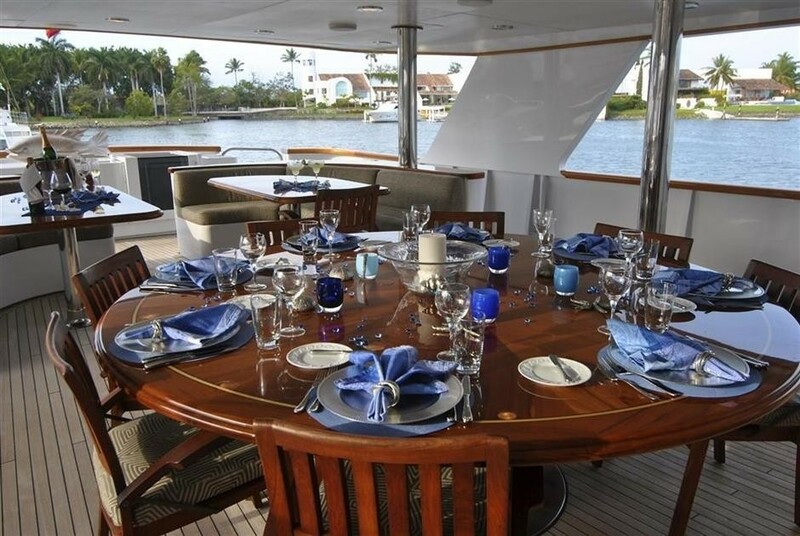 LADY HAYAT with her crew of 9 is the perfect luxurious and comfortable yacht. 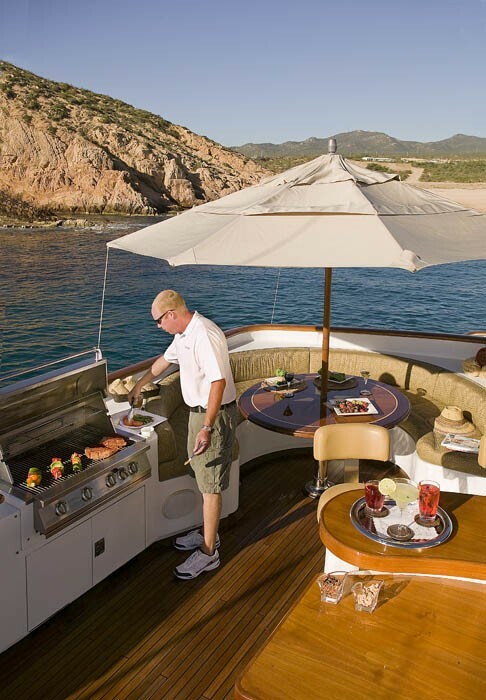 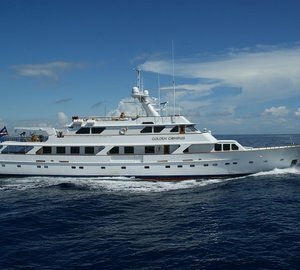 LADY HAYAT can accommodate up to 12 guests in 6 individual cabins. 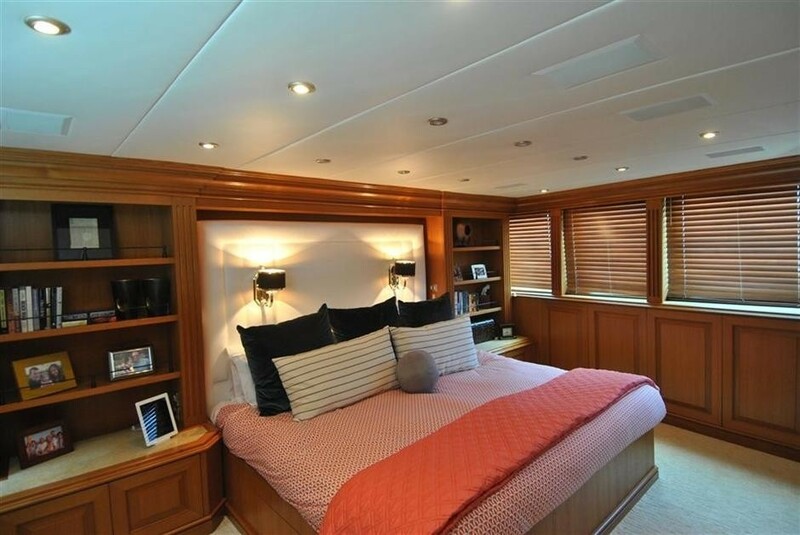 Her master stateroom is equipped with a king sized bed, a 42” plasma TV screen and has an ensuite with a bath and shower. 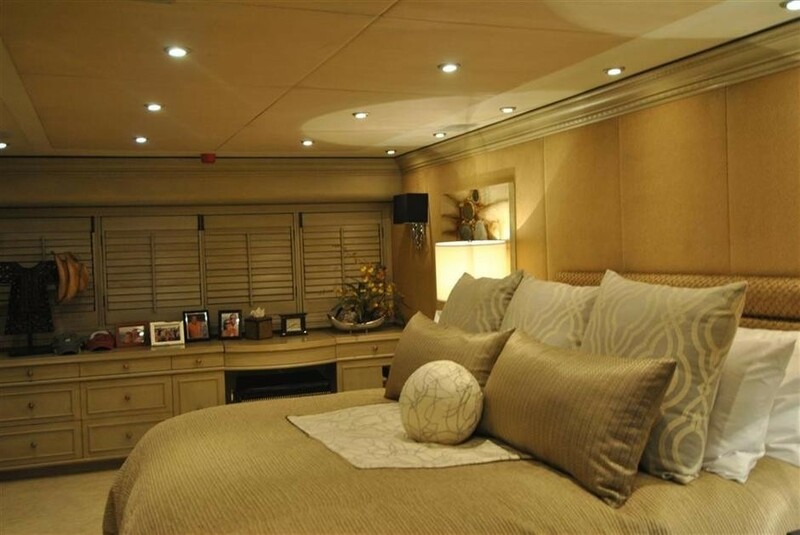 Her VIP stateroom located on the main deck has a Queen sized bed, 42" plasma screen TV and an ensuite with shower. 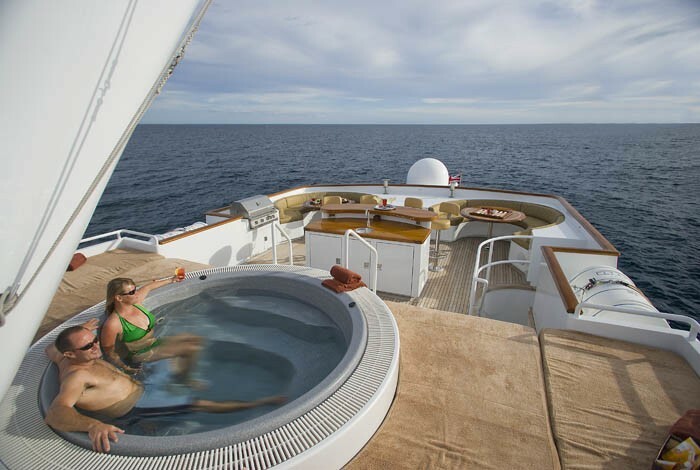 The remaining cabins consist of 2 queen and 2 twin cabins each with a 15” LCD TV, and ensuite facilities. 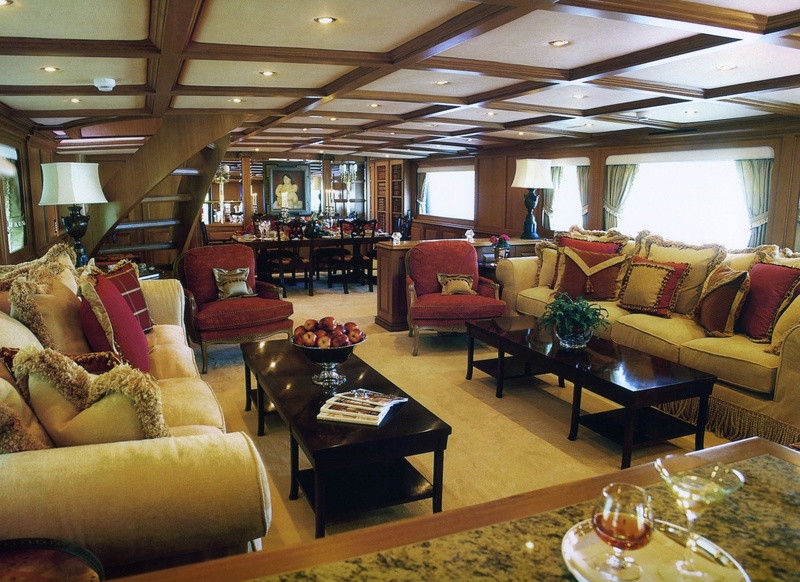 LADY HAYAT is equipped with a range of entertainment facilities including a TV/DVD in each cabin and the main salons with plasma screens in the lower and upper salon, master and VIP cabins. 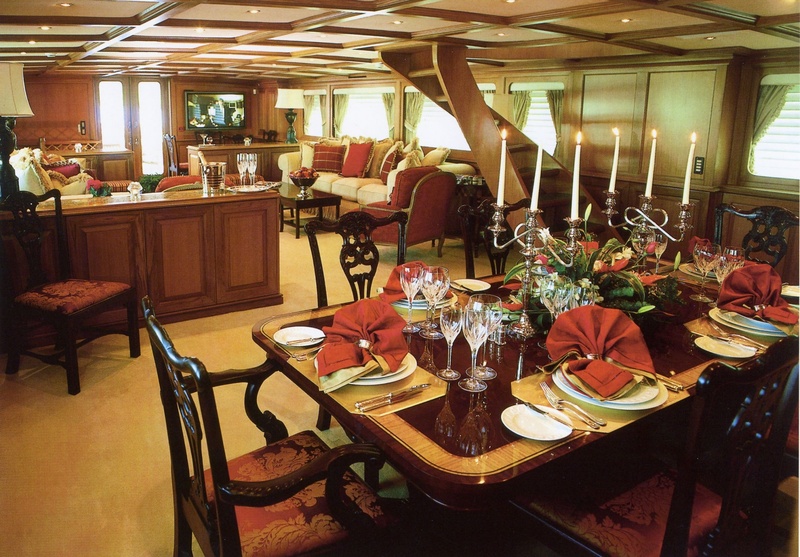 The upper salon is also equipped with a beautiful Baldwin Louis XVI Baby Grand Piano. 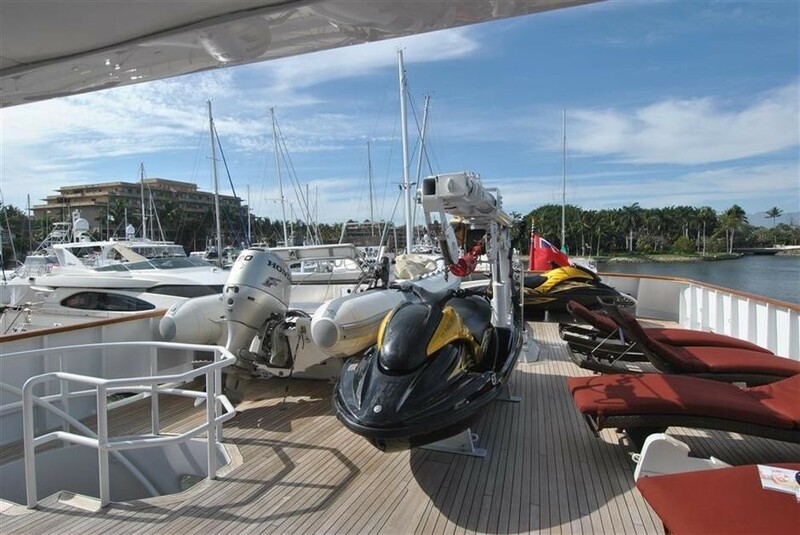 Tender and toys onboard include a 22' Nautica with Honda 225hp four stroke outboard, a 18' Nautica with Honda 90hp four stroke outboard, 4 Wave runners, Water-skis, a wake board, inner tubes, kayaks, snorkelling gear and fishing gear. 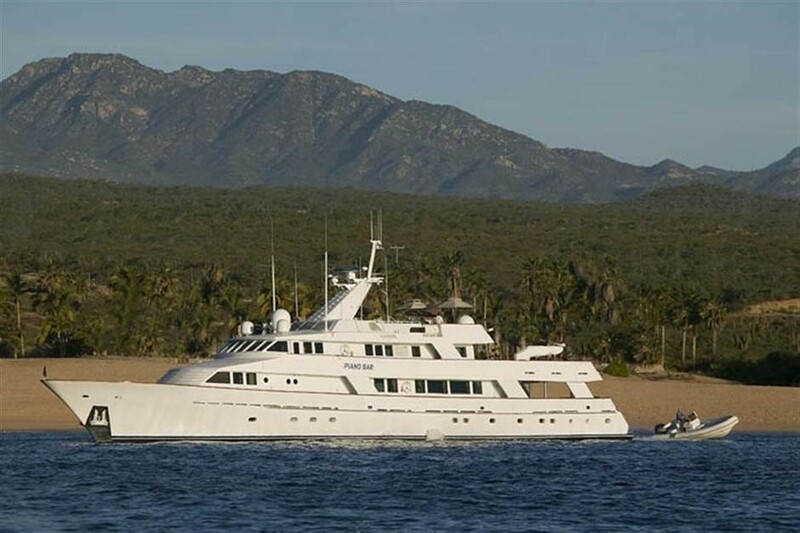 Communication equipment onboard includes Satcom, cell phone - fax and high speed data.